Jack had booked us into a beautiful two bedroom suite, but unfortunately, I couldn’t find the air conditioner. When I called the front desk to ask for help, they told me to walk over to the sliding glass doors that overlooked the bay, open them, and then stand back and let God do his thing. Early the next morning, we headed to Santee where the KCBQ studios were located to meet with Jack and cut our promos. What I remember the most about that meeting was how much he reminded me of Clint Eastwood. He wore a leather cowboy hat, a poncho, boots, and even smoked those small cigars just like Clint did in his spaghetti westerns. Jack’s voice though sounded more like Rod Serling’s than it did Clint’s and here’s where it gets a little crazy. After interviewing Chuck and me about our stations, he used his great voice to ad-lib our promos which blew me away then and still does. A couple of years later when I moved to Indianapolis to be the National PD of Fairbanks Broadcasting, Jack owned a research company called Ram Research. I think I bought almost everything he had, but before I did, I insisted that he cut me some promos which he agreed to do if I stayed in the studio with him. As I said, Jack never took any notes, because as he explained to me, “If you take notes, the client is your consultant, instead of the other way around.” It was amazing to sit there and hear him describe exactly what I was trying to say, but the difference was, he did it with words that were almost poetic. He’s always claimed that it was the music that gave him the copy, but even though I’ve seen him do it this way many times, I’m still amazed by it. Since I’ve known Jack, he’s always been more comfortable inventing things like green yachts, or coming up with some form of new research than doing promos. His reluctance is unfortunate because it’s what he does best and our industry could sure use a few great promos right about now. His are magnificent because they sound more like movie trailers than they do radio promos. Jack is not afraid to live on the edge with his inventions, and is ambivalent about things that would scare the hell out of most people. However, like all gifted people, he is also vulnerable. This vulnerability may be the reason that Jack’s always insisted that I stay in the studio with him while he was recording, if I left for even a moment, he would be right behind me. He liked to watch my eyes as he ad-libbed his way through our many sessions, he could tell how it was going from the look in my eyes. Here’s to Jack McCoy, the best I’ve ever worked with. Love Ya Man! It’s bad enough that radio executives today get to pay themselves exorbitant salaries, but the worse part is that they also get to decide how much the rest of us make. When Sputnik went up into the sky years ago, it changed the way we lived because we realized that we were now on the world stage. I may be a little liberal but I sure ain’t a socialist. Other than politicians, do you know anyone else who thinks that we need more people to move to America? Why is it that when a man starts making decent money all of a sudden he needs more women? However, when a woman starts making big bucks, she usually thinks the opposite. Are addicts the best liars in the world or what? Being a so-called privileged old white guy, I’m wondering when all those privileges are gonna show up? Had Germany and Japan had won the war, do you think the same wealthy people would be running America that runs it today? I wonder why they call it “sleeping around” when there’s no sleep involved? Why do women feel safe saying things to a man that a man would be deathly afraid to say to another man? Do the Patriots refer to themselves as being from New England or Boston? If white people are responsible for all the bad things that have happened to black people, then they must be responsible for good things too? Unhappiness is the result of your expectations exceeding your talent. You never tire of reliving a happy memory. You usually have to take a detour around failure on your way to success. Geo’s Media Blog is an inside look at Radio, Music, Movies, and Life. 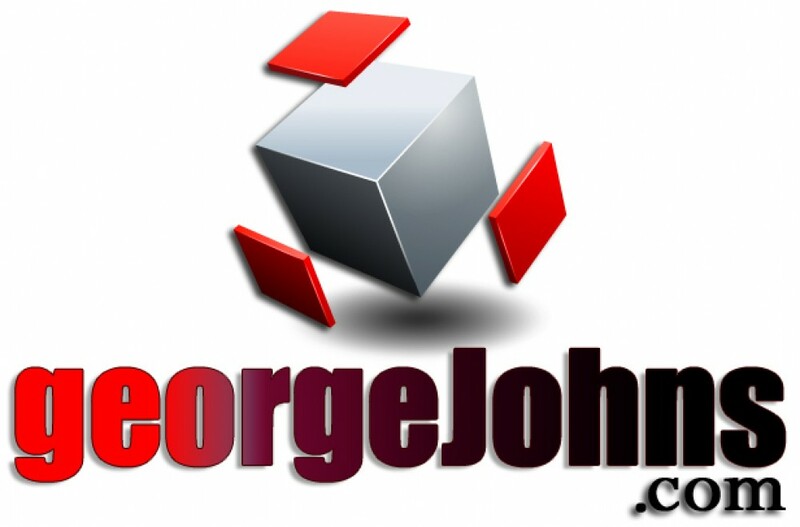 For a sneak peek at some upcoming Blogs or to catch up on some that you may have missed, go to GeorgeJohns.com. On Twitter @GeoOfTheRadio. Sharing and commenting is appreciated. Jack McCoy = Creative Genius! Not only is Jack a good friend but he also resurrected my early fading radio career and put me in the hands of my longtime best friend and programming mentor, George Johns. How fortunate I was to be just a punk kid learning at the hands of these two radio greats! I also shared the privilege of being in the studio watching Jack perform his promo magic where he said to me, “I don’t work with copy cause the copy is in the music”. We would set out to do promos for the latest contest but end up with 20 imaging promos for KOGO, it all depended on where the music took him. On top of that, Jack could have easily made it on the stand up comic circuit being one of the funniest people on the planet. He had me laughing so hard one night at dinner (or maybe just cocktails now that I think about it) that my stitches from a recent surgery literally burst out. Jack McCoy is the most futuristic person I have ever met. I will never forget hearing him speak at a Fairwest convention in 1989 where he told the audience that one day all radio stations would have a 2 share and that commercials would be purchased electronically. All I can say about that is WOW! Thanks Jack for showing me the definition of the word “BIG” and for being a huge inspiration! Jack was the first Program Director to say “Bill Gardner….you’re a morning man. Come down to San Diego and do mornings for me on KCBQ.” And who wouldn’t? He said all he could do was match my current salary in Seattle, but when he could, he’d give me a raise.” My FIRST WEEK doing mornings, Jack increased my salary to what I’d asked for. We even lived in the same apartment building. And I remember seeing his black Lincoln Continental with “suicide doors” parked near my car. Jack taught me something I later became somewhat famous for….an economy of words. He did it by grabbing a tape of my morning show, a razor blade, and splicing tape and painstakingly editing words from things I’d said that morning until it was streamlined, sharp, concise, and much more compelling! And don’t get me started on how he MADE the sound of a Ferrari from an old sound effects disc of a dump truck but played at 78 RPM, later pinching the tape during playback to recreate the sound of shifting gears. Enzo Ferrari himself heard it and approved it! Creative? I still have a hand-written letter Jack wrote to me. Hand printed, but written in total reverse! You’ve got to hold it up to a mirror to read it! PLEASE keep me up to date on one of my true heroes! I wish Jack the very best. He deserves no less. I’m glad Jack got you to call Bill, I’m not sure how many tours we ended up doing together, but there were a bunch. I still remember the day George ask me to send you one of his one-liner zingers. It was supposed to read “are you still short “, only I typed “as you still short,” I thought he was going to shoot me. I loved the part, Linda, how you would imitate his voice when you’d buzz me to say that he was on the phone … GEORGE, JACK-MCCOY! One of my earlier memories, in a long career in various media and communications forms, was doing The Last Contest in Toronto at CFTR. What a blast to have a job that paid me to ask people their greatest dream then figure out how to make that a prize package – even with our limited Canadian budgets. I was in awe of the guy that thought it up, and although I never met you in person, still feel a buzz when I think of that time. Thanks, Jack. Very exciting times Sharon, I’ll never forget them. Jack, you are the very best which is why during radio’s 75 anniversary, you were voted into the top 50 of radio’s most influential people. I agree with you Bruce, but I also remember you cutting some damn fine promos when we launched WRMF in South Florida. I first shook hands with Jack McCoy at KSTT Davenport, IA in 1972. I didn’t know who he was, but he was on a trip pitching the syndicated version of The Last Contest. A couple of years later when I landed in San Diego (at KFMB-AM and K-FM B-FM and flipped it to B100), we reconnected. He was done with KCBQ and doing RAM Research then, and we bought (one of?) his first call-out projects for the station. He was still tweaking so there was a lot of hands-on oversight and training with me and the B100 staff. Jack, your inventiveness and development of major radio stations, promotions and ground-breaking research has brought numerous memories to listeners and broadcasters. We will always remember you and your super cool manner and voice. P.S. You never invited me on your yacht, you S.O.B. I wonder how many other broadcasters Jack influenced Bobby because he sure influenced my brother and me. I have had the pleasure of working with Jack in West Palm Beach, Memphis, and Dallas. Our association was one of sensei and student. His creative genius was so very evident in broadcasting with his ability transport the listener into a imaginative dimension through words, tone, pace, and inflection. But Jack was so much bigger than radio, as his mastery of other unrelated endeavors proved. I used to marvel at his ability to come down to my level to communicate with clarity and precision and watched him do so with reluctant GMs and Sales Managers. He captured their imaginations as well, rather than try to sell the sellers. Jack also has a remarkable talent of staying in the shadows and allowing those who championed his projects take the credit for their success. I miss our association and our conversations as I now do things well outside the bounds of broadcasting. I have sincere gratitude for having worked with Jack and have tried to emulate but a morsel of his character. Jack McCoy is one of my dad’s coolest friends. I remember when he would visit us in Indiana, as was sometimes the case with various radio types. Even as a young kid I could see he was smart as a whip, witty, and funny. When he found out I was a gymnast he proceeded to demonstrate some mad skills right in our dining room, doing a handstand in his dress clothes, which was beyond surprising – and incredibly impressive. Jack McCoy, an epic storyteller, has recounted some of the most hilarious tales I’ve ever heard, which had me laughing so hard that I could barely breathe and which remain part of the soundtrack of my childhood. I still remember them and to this day occasionally retell them to people at parties when unkind swans, heated hotel bathroom floors, or would-be hotel fires come up in conversation. I had the honor of working for ‘Mr. McCoy’ in my senior year of high school and, as such, witnessed the creation of those amazing promos. When I had the opportunity to say hello at my dad’s 70th birthday party, he was still just as cool as ever. In fact, they don’t come any cooler than Jack McCoy… always ‘Mr McCoy’ to me. You’re absolutely right honey, Jack’s stories were always hilarious. I remember meeting Jack when I was at WVBF in the mid 70’s, and many times after that when I was at R&R. Not sure if I ever sold him any ads in R&R, but I always liked him. Please say hi. I don’t remember ever seeing Jack McCoy ads in anything Barry. He was always a high profile guy in a low profile way. Jack McCoy invented the “recycled quarter hour”. Remember? Of course I remember Peter. Buzz Bennett created quarter hour maintenance and Jack said, “Once you get that done, you need to recycle it.” I did both. I first had exposure to Jack during my stint as Sales Manager at KSLQ in St. Louis. Part of the Bartell group- KCBQ, WOKY, WMYQ. There was always a lot of talk about “this guy” in San Diego cranking out incredible station promos. Later as VP/GM of KLSI in Kansas City, I sent many large checks to Jack’s company for promotional items such as the “Incredible Prize Catalog.” The checks were large, but the results much larger! And when the audience would call the station asking to hear the promos… you knew he was making “Magic in the Mind” for the listener. And that is what it’s all about…. Radio as it was meant to be! Thank you for remembering the giant checks coming in Steve, not to mention the ratings it produced. The prize catalog couldn’t happen today because they don’t care about giant checks coming in, they only want to prevent big checks from going out. On my list of “most unforgettable people”, I have Jack McCoy as second behind Jerry Jones. The first thing I remembered was “he who controls the verbiage, controls the buy”. I, like you, Ron, have many McCoyismns still swirling around in my head. Also, I’ll never forget the first recording session that we all did together at KVIL. I hope you’re well, old friend?